For the few remaining Americans who aren’t familiar with the TV show “The Biggest Loser,” it’s a reality show in which two teams of portly contestants are whipped back into shape over the course of the series by a pair of hard-nosed trainers. Never mind the irony of sitting on your couch watching obese people exercise, the appeal of the show, for many, is watching people working hard and supporting each other to achieve a dream that seems all but impossible. In a way, America is a bit like these contestants. At one point we may have been fit and healthy, but lately we’ve let ourselves go a bit. We’ve gotten lazy and rested on our laurels. We’ve become addicted to sweets such as cheap credit, unfunded entitlements and borrowing from future generations. Why cook a healthy meal or save for your future when it’s easier, and oh so much tastier, to go to McDonald’s or let the government take care of you? And our collective waistlines have grown, literally and figuratively. The housing bubble crash of 2008 was sort of like a mini heart attack that woke us up to the fact that we can’t go on living like this. It’s time to get back in shape. But how? Sounds like a plan to me. 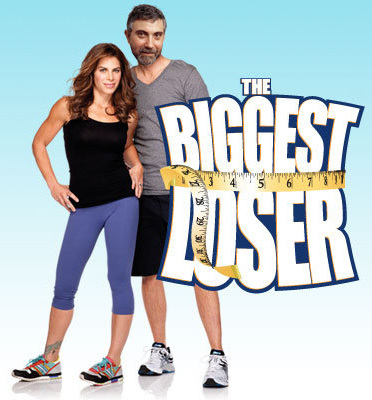 Now that Mr. Krugman has informed us how to fix the economy, I wonder if he can do anything for our Biggest Loser contestants. Of course, Mr. Krugman has never actually worked as a trainer, but as an academic from the vaunted halls of Yale, MIT, and Princeton with a Nobel prize to his name, surely he has some insight that these unsophisticated trainer types lack. Perhaps we can extrapolate how his prescription for fixing the economy might translate to whipping some overweight Americans in to shape. Well, week one of the show might start off a little slow for Krugman’s red team. After assessing the contestants, it’s clear that they are in really bad shape. Years of poor eating and lack of exercise has left them morbidly obese and unable to even walk up a hill without gasping for air. Clearly, these people are in no condition to be exercising at this point. All the hard work could cause their muscles to become sore thus preventing them from more exercise or even worse, send them into coronary shock. What they need is more energy to stimulate their metabolism and once they’re energized, they can begin to work out. Over on the blue team, trainer Jillian Michaels has her group on the “austerity” regiment. She has restricted their caloric intake and has them jogging and doing pushups. The contestants grimace in pain and complain about the small tasteless meals she is feeding them. I hope they don’t keel over from overexertion. Week two starts out strong for team Krugman. As a historian of the great depression he has stated that, “If we don’t learn from the past we are doomed to repeat it.” And what is the gastronomic lesson he learned? Well, anyone who has looked at pictures from the Great Depression can see that the people of that era were quite svelte. Many of them subsisted on bread and lard, so we can therefore deduce that flour and fat are essential to a slim body. Also, as an economist he knows that the body can’t function to it’s full capacity unless it consumes energy. And what’s the best source of instant energy? That’s right-sugar. With those insights, Mr. Krugman instituted his chocolate chip cookie diet. Over at team Jillian, the contestants are sore and angry. One of them barfed during an excessive treadmill session and had to receive medical attention. The broccoli and grilled chicken breasts are going down like sand. How are they supposed to boost their energy levels if they can’t stand the food? Week three has team Krugman in high spirits. They haven’t been doing so hot on the scales, but morale is high and they’ve been building up their energy reserves to a point where they should soon be able to exercise. They had hoped to be exercising by now but as Mr. Krugman points out, they haven’t been eating enough cookies to jolt their bodies into action. There is clearly extra capacity in their stomachs which could be used to hold more food thus enabling them to do more work, so trainer Krugman institutes a policy of extra cookies at every meal. Also, he knows that to function properly, a body needs liquidity, so he provides plenty of Redbull to stimulate their systems. While his team is becoming stronger and more energized, Mr. Krugman can only lament the fate of the poor contestants on team Jillian. Sure they seem to be getting a little better at working out but at what price? They’ve had to forgo the foods they love, push their bodies to the point of exhaustion, and endure physical and emotional pain like they’ve never seen. How long can they sustain that type of abuse? Week four has been cancelled due to the entire team Krugman being sent to the hospital for quadruple bypass surgery. This entry was posted in Economy and tagged paul krugman. Bookmark the permalink.